SCOTTSDALE, Ariz. (May 3, 2017) Three weeks ago, Scottsdale Unified School District (SUSD) Governing Board Vice President Pam Kirby challenged the community to raise money to help send the Chaparral High School and Desert Mountain High School robotics teams to Houston, Texas to compete in the 2017 FIRST® Robotics world championship competition. Kirby pledged to match whatever was raised, dollar-for-dollar, up to $25,000. Now she has to write a check for $14,300. That’s how much was money was raised during the nine-day effort, with the Scottsdale Charros pitching in $2,500 to each of the two high schools. With Kirby’s dollar-for dollar match, the total raised comes to $28,600. 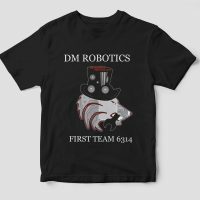 Chaparral and Desert Mountain represented SUSD well in the Houston World Championships: Desert Mountain’s Wolfpack Team 6314 is the first SUSD robotics team to be part of an alliance that advanced to the finals of the FIRST competition and only the second team ever from Arizona to achieve that. 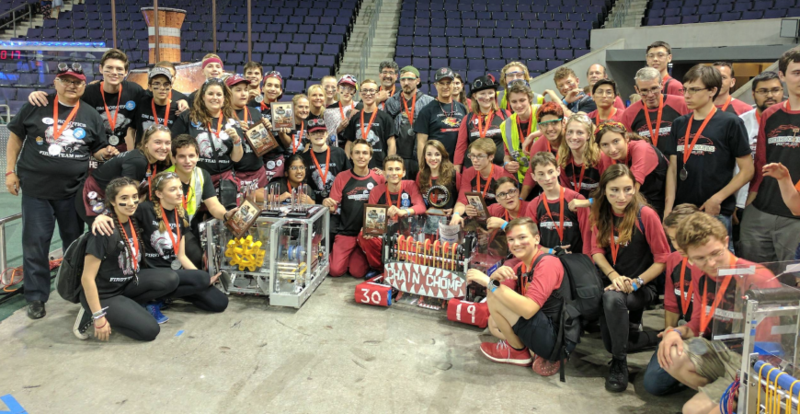 The combination Arizona-Georgia-Idaho-Nevada alliance placed first in its division and placed third overall, a major accomplishment for Desert Mountain’s rookie team. Chaparral’s Team 3091 robotics team made a major impression at the Texas championships, as well. It captured the Gracious Professionalism Award for its division. As part of its philosophy of supporting others, the Firebirds created a texting hotline during the Houston competition through which other teams could seek troubleshooting assistance from the Firebirds. Through its 301-911 hotline, the Chaparral team was able to help teams that were having electrical and mechanical issues with their robots. The FIRST Robotics Competition combines sports excitement with the rigors of science and technology. 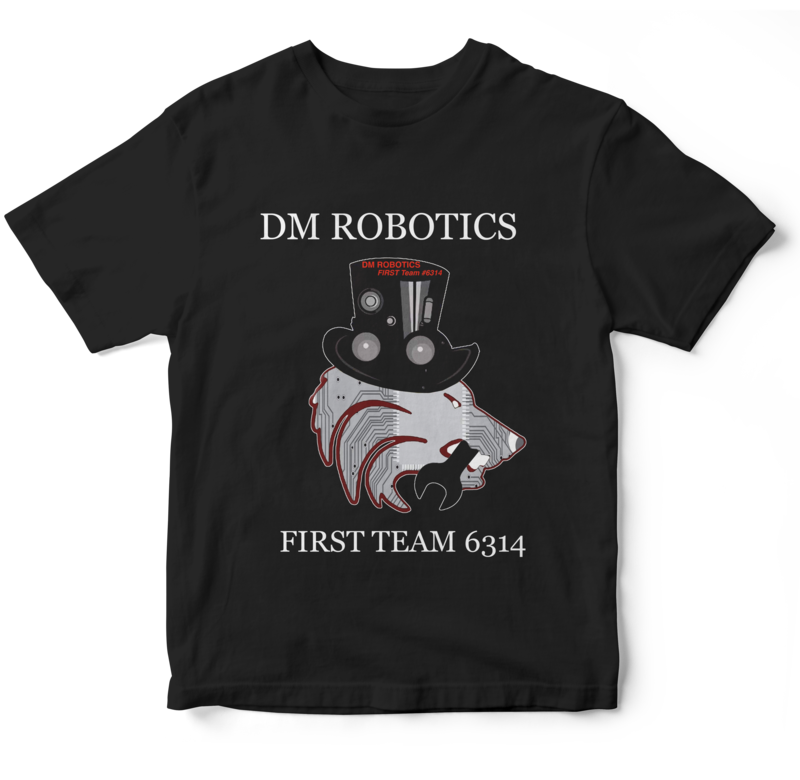 Under strict rules, limited resources and time limits, teams are challenged to fund-raise, design a brand, exercise teamwork, and build and program robots to perform tasks against competitors. More than 15,000 students from around the world traveled to Houston for the April 19-22 event. Outside of the competitions, members of both schools’ robotics teams had opportunities to network with top professionals from NASA and Boeing, as well as renowned engineers, such as Dean Kamen, founder of FIRST® robotics, who invented the Segway personal transportation device. Chaparral’s female team members attended an event hosted by The National Center for Women in Technology and networked with female professionals in technology fields. Lastly, all students from both SUSD teams attended Scholarship Row, where they were able to speak to representatives from colleges, universities and organizations that provide FIRST Scholarships. This year, more than $50 million in scholarships will be offered to FIRST participants. Scottsdale Unified School District, where we Engage, Educate and Empower Every Student, Every Day. The Scottsdale Unified School District offers 30 schools, serving approximately 23,000 students. School boundaries include parts of Scottsdale, Paradise Valley, Phoenix and Tempe. More information regarding SUSD can be found at www.susd.org.